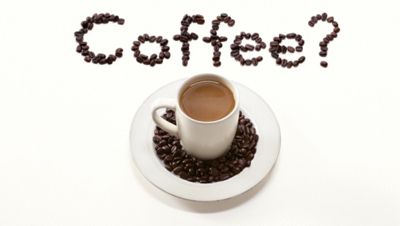 Caffeine, particularly in coffee, is the way many people like to start their day. Downing a cup of coffee seems to make it easier to face the challenges of the day. Caffeinated coffee helps to sweep away the cobwebs and kick-start the body, fending off that urge to climb back into bed and sleep in. Now, a new study has found that coffee might be more than just your favorite morning drink—it might just boost memory too. The study, published in Nature Neuroscience, involved 160 people recruited by researchers at the Johns Hopkins University. None of the recruits drank caffeinated drinks with their regular meals. At the outset of the study, the researchers took saliva samples and analyzed them for base levels of caffeine. They then had the participants look at a series of images. Five minutes after this exercise, each participant was given either a placebo pill or a 200 milligram caffeine tablet, the amount you would expect to find in a large cup of caffeinated coffee. The researchers then redid the saliva tests at three time intervals: one hour, three hours, and 24 hours later. At the end of the 24-hour period, the participants were asked to take the same image test they had taken the day before. Not surprisingly, those who took the caffeine pills performed better on the memory tests than those taking the dummy pills. Why did the researchers use a 24-hour period for their clinical trial? According to the researchers, all of us tend to forget new information within just a few hours of learning. For the second phase of memory tests, participants were shown some of the original images from the day before but also some images that had subtle changes added. When you are able to distinguish between images that are similar but not exactly the same as others, you are performing a memory task called pattern separation. Using pattern separation requires more sophisticated memory skills. The group taking the caffeine pills had much more success in identifying the subtle differences between images than the placebo group who tended to simply see identical images. Previous studies have mainly looked at the effects of caffeine before taking a memory test, whereas this study looked at the effects before and after taking caffeine. The researchers would now like to find out exactly what might be happening in the hippocampus in response to caffeine. The hippocampus is responsible for memory function. There is a down side to taking caffeine to boost memory: it can cause adverse effects such as restlessness and anxiety. It’s probably not a good idea to suddenly start drinking lots of coffee if you want to improve your memory. In fact, the researchers found that too much caffeine doesn’t seem to be as beneficial as a more moderate amount in terms of brain function. So make sure you’re drinking in moderation and you might just get the jolt you need—in the morning and in your memory. “Caffeine Pill Could Boost Memory,” BBC News Health web site, Jan. 12, 2014; http://www.bbc.co.uk/news/health-25665781, last accessed Jan. 14, 2014. Borota, D., et al., “Post-study caffeine administration enhances memory consolidation in humans,” Nature Neuroscience 2014; DOI: 10.1038/nn.3623. Giles, G.E., et al., “Caffeine promotes global spatial processing in habitual and non-habitual caffeine consumers,” Front Hum Neurosci. October 2013; 7: 694.